For cancellations received less than 14 days before arrival, no deposit will be returned. 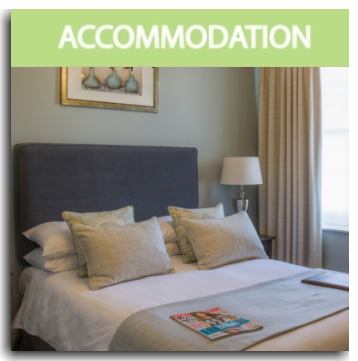 For cancellations received 14 days or more prior to arrival, there will be no liability and the full deposit will be returned less an administration fee of £25.00 per room. The change of date or shortening of a reservation will incur an administration fee. In the event of cancellation within 7 days of arrival date, no refund will be given. For cancellations between 7 – 28 days prior to arrival, there will be a 50% refund. For cancellations of more than 28 days prior to arrival, a full refund (less an admin fee of £25 per person) will be given. Cancellation of additional treatments within 24 hours will incur a 100% charge of the treatment. Any non-arrival without notice will incur full payment. No allowances can be made for rooms not being occupied for the full period of the booking or for any meals or any other supplements not taken. We recommend that you have holiday cancellation insurance in order to cover any loss of deposit or incurred cancellation fees. Guests agree to be held personally responsible for any charges incurred during their stay. In the event of a multiple booking, the lead or registered guest providing the credit/debit card details is personally liable for any person/group or association that fails to pay all or part of such charges. Card details will be required on all bookings. All extras not paid on departure will be automatically charged to the credit card. No personal or company cheques are accepted. In certain circumstances payment may be required in full at the time of booking. You will be made aware of this before you book and any payment is taken. Please ensure that you bring your gift voucher with you to present upon arrival. Non presentation of a voucher will necessitate charges being made until the voucher is presented. Please Note : a refund will not be given for gift vouchers , and they are valid until the date displayed on them. Gift vouchers may not be used to buy another voucher . Cedar Falls will not accept responsibility for lost , stolen or damaged vouchers . At Cedar Falls, we promote healthy eating and a balanced approach to food intake. Please be aware though, that Cedar Falls is a health farm and not a hotel. Therefore, we provide as part of our dining services a healthy breakfast including an à la carte menu, a delicious three course buffet lunch and also a three course (three choices per course) dinner. Our menus have been specially chosen to provide a healthy, balanced and varied choice. There is always a vegetarian option on the evening’s menu and we can also cater for vegans, coeliac/gluten free, dairy and wheat intolerant guests. However, any other deviations from our menus, which ultimately take time to prepare or involves the purchasing of further ingredients which are not usual to our menus will incur a charge to the guest. (For example, sheep or goat’s milk, cheeses, butter, cream, etc). Any extra time taken by our chefs to prepare your dining requirements will be billed to your room account. Please make sure you inform us of any of the above intolerance’s or dietary requirements prior to your arrival. If you wish to discuss your menu options further, our chefs will be happy to discuss your allergies, intolerance’s and requirements to tailor menus for you. A set fee of £25.00 will be charged for this service. This consultation must be pre-booked before arrival. At Cedar Falls we offer a comprehensive wine list and a limited range of alcoholic beverages and soft drinks. Only food and drinks purchased at Cedar Falls may be consumed on the premises. Dining at Cedar Falls is exclusive to in-house guests, day guests, and members. Cedar Falls is aware of all the fourteen main allergens and can provide more details of these if required. Information on all the food we provide is available. If you have any questions regarding food allergens, please ask before ordering. We take allergens very seriously and we will endeavour to assist wherever possible, however, it is ultimately your responsibility to ensure that your food choices are suitable for your personal consumption. For the comfort of all our guests, the use of mobile phones is not permitted in any indoor or outdoor public area. Guests are advised to avoid bringing large sums of money or valuables with them. The company will not be held responsible for unattended items and personal belongings are the responsibility of each guest. The company accepts no liability for any accident, loss or damage to your property unless such loss is demonstrably due to our negligence. No responsibility can be accepted by the management for the safety of guests’ vehicles or their contents, money or valuables of any kind. Lockers are provided in the changing rooms for the use of guests. Please ensure that all valuables are secured. We are a non-smoking venue both within the house and the grounds. This also applies to e-cigarettes. If after departure it has been found that smoking in a bedroom has taken place, a £50 deep cleaning fee will be charged to your credit/debit card. Cedar Falls reserves the right to recover from the person who made the booking any discretionary compensation payment for any damage to rooms, fixtures or fittings. 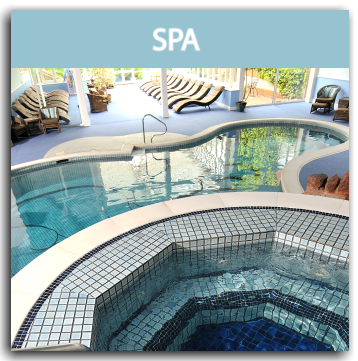 Please refer to the price list inserted in the back of the brochure for details of our special packages; these represent great value if you’re looking to completely relax and de-stress. Please note that when treatments purchased as part of a package they cannot be exchanged for cash, goods, natural therapies, services. Package treatments are not interchangeable and may not be transferred to another person in your party. Cedar Falls reserves the right to withdraw packages and offers at any time . 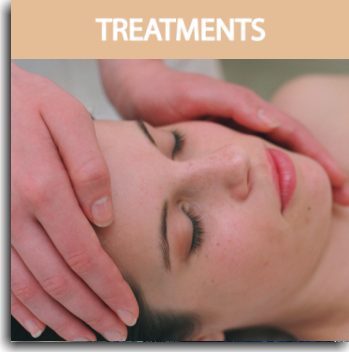 We offer a full range of face and body treatments from ESPA and Clarins, plus a wide range of Natural Therapies. Our therapists do get booked up very quickly, so to avoid disappointment, please book any extra treatments as soon as possible after making your reservation. We reserve the right to change or remove any of the treatments without notice, but we will do our best to suggest a suitable alternative. Any of the spa or duty management team reserves the right to refuse any booking. All treatments and therapies are provided by highly qualified specialists. They are therefore subject to availability and pre-booking is strongly recommended. Please contact our treatment advice and booking line on 01823 433904 between 9.30am – 5.30pm. Treatments and prices may be subject to change. Please notify our staff if you are pregnant or have any special medical considerations so that appropriate treatments can be recommended. Cedar Falls cannot be held responsible for any changes to treatments, or treatment cancellations that occur due to non-disclosure of medical conditions at the time of booking. We offer a very wide range of treatments and therapies but some are not advisable if you have, or have had, particular medical conditions. Please refer to the contra-indications summary included in the price list. The guidelines are not exhaustive, but serve to highlight some of the main contra-indicators where treatments may not be advisable. If you have any health concerns regarding your suitability for treatments or activities please consult your GP prior to your visit. Behaviour of all guests should not be excessive or rowdy and must not cause annoyance, distress or embarrassment to fellow guests or staff. Offensive behaviour towards other guests or to any member of staff will not be tolerated. As Cedar Falls does not have a lifeguard, you swim at your own risk. Before using our facilities or swimming pool you will make yourself aware of Cedar Falls’ fire and emergency procedures and pool safety code. Cedar Falls provides an oasis of peace for adults. To ensure that we maintain our calm environment, accommodation and facilities are exclusively for the use of men and women aged 16 and above. Cedar Falls regrets that we are unable to accommodate wheelchair users. Improvements, maintenance and changes to the house and spa/treatment facilities take place throughout the year. We will always do our best to ensure that guests are not inconvenienced. No compensation will be paid if a facility is not available, but we will do our best to provide a suitable alternative. To ensure we provide a relaxing environment for all guests, pets cannot be accommodated at Cedar Falls. However, our reception would be happy to assist if you need details of local boarding kennels or catteries. Black Friday Vouchers cannot be used in conjunction with any other offers. Full payment is required at time of booking and a weekend supplements apply to all special offers.